The roofing process starts with a free estimate, and that’s what we can do for you to help you see what the price is. We will do a complete walk around the property and uncover any problems you may have not noticed, and then give you the best solution in roofing products that will take care of you for a lifetime. The roof is an important part of the home in the roofing estimate only takes between 30 or 45 minutes from start to finish. 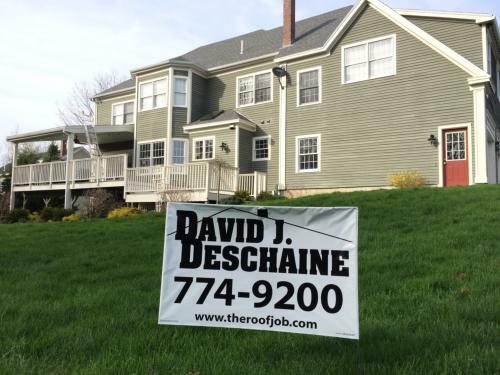 We do like to meet with all people that will be involved in making the decision for your new roof, because the homes in Falmouth Maine do have a lot of different styles and we want to make sure we can answer all your questions. There are few options available that will increase or decrease the cost of a new roof, there are higher-end shingles that do cost more that should be considered on some of the homes in Falmouth Maine. With all the waterfront areas want a triple laminate that has a higher when rating compared to some homes in Falmouth that have plenty of trees to protect against high winds. 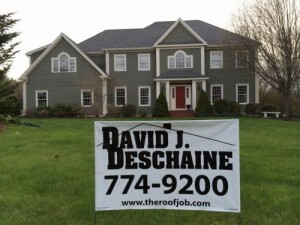 Every home may require different flashings, you may have skylights or a slow pitch roof that requires additional ice and water shield or even a different roofing material because of the page of the roof. We will go over everything and tell you exactly how much a new roof is going to cost during our meeting and then we can schedule the time that’s just right for you to have your new roof installed.